The Trenton is proof that good things can come in small packages! Compact but certainly not compromised when it comes to style, this design is tailor-made for a 7.5m rear-loaded block, and offers spacious living and a three-bedroom, two-bathroom floorplan. The rear-loaded design means the front of the home can be given over to the master suite for extra privacy and seclusion. In their own zone with generous second bathroom, there are two minor bedrooms, each with a walk-in robe. 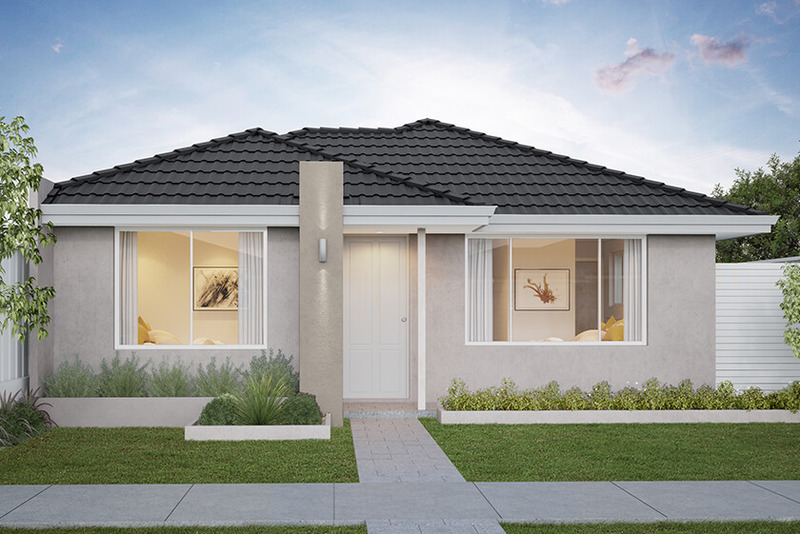 Be surprised at the spaciousness of the open-plan kitchen, dining and living area, which flows outdoors to a courtyard – from a vegie garden to an elegant dining spot, the possibilities are only as limited as your imagination! One thing you won’t be short of is storage – a generous storage area in the garage maximises your space inside.